The introduction of the Jeep Liberty for the 2002 model year was met with immediate fanfare, earning Jeep an enthusiastic nomination for North American Truck of the Year. Despite retaining the automaker’s signature unibody construction, the Liberty presented a clear departure from its contemporary stablemates as it featured (i) rack and pinion steering, as well as (ii) brand-new powertrains which were being served up by Jeep for the first time. Offering a uniquely modern update of the iconic Jeep aesthetic, the success of the Liberty could not be ignored. The sporty compact SUV would be relatively short-lived, pressured (arguably) by the introduction of both the equally short-lived Patriot (2006-2016) the enduring Compass (introduced in 2007) and paving the way for the (not entirely dissimilar) subcompact Renegade (launched in 2014). This, of course, coincided with the global refocus on fuel economy, with the models above offering more favorable mpg estimates. The Liberty’s retirement after the 2012 model year also allowed for reinstatement of the Cherokee (KL) as part of the Jeep lineup. But Jeep’s removal of the Liberty should never be inferred as a negative. In fact, the Liberty stands as an overwhelming success with over 70% of its combined sales representing non-Jeep drivers who came onboard as a result of the Liberty’s popularity. 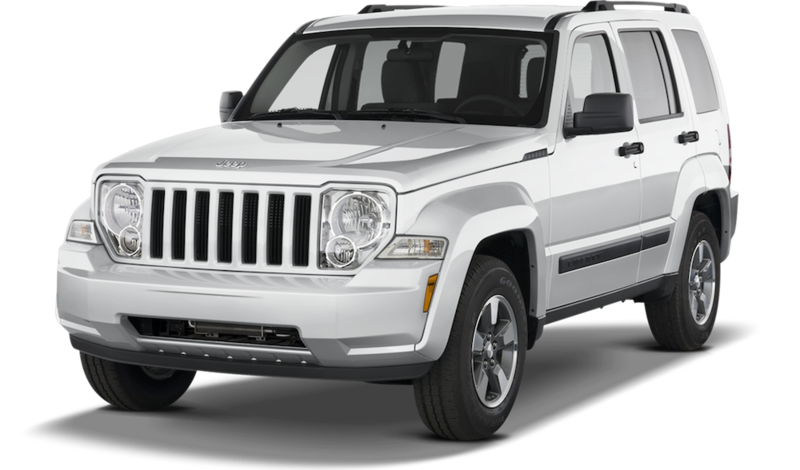 For those seeking a Used Jeep Liberty, the second generation (KK) models serve as the ideal starting point. Covering the latter half of the Liberty’s decade lifespan, 2008-2012 models are more than just the most recent model years available. They represent a genuine attempt to do something different within the Jeep lineup while returning to a more traditional aesthetic. It’s worth noting that expectations of available technologies have evolved dramatically over the last decade. Some of the evolution would be acknowledged in changes made throughout the Liberty’s last five model years, but That said, the ’08 Liberty may not feature some of the amenities one would expect by ’18 standards, but it’s clear to see the framework is in place. For example, the base-level Sport is equipped with a four (later six) speaker sound system featuring CD and auxiliary input. While basic in terms of infotainment, enhancement options include UConnect Bluetooth connectivity as well as tertiary music streaming capabilities. These enhancement features are incorporated as standard features of the Limited trim, as well as satellite radio, voice command controls, and built-in security features. At this level, enhancement options include (now standard) features such as touchscreen interface, which was also incorporated into some of the Special Edition variants highlighted above. That said, the even the technology included a shout-out to the ‘back-to-basics’ approach, with the inclusion of a Jeep’s Sky Slider power roof. Sized at 60’x30’ the oversized roof stood as the largest opening available among in-class competitors, succeeding in Jeep’s goal of reclaiming the ‘open-air’ feel so often associated with their offerings. Echoing the ‘less-is-more’ mindset of refinement, the Jeep Liberty was served up in two primary trim levels across its last five model years: the base-level Sport and the up-level Limited. Subsequent model years would introduce an assortment of Special Edition variants of these two trim levels including the aggressive Renegade (2009-2011) Latitude (2010-2012) 70th Anniversary Edition (2011) Jet (2011-2012) and Arctic (2012). These limited edition offerings featured a number of enhancements to the Liberty’s versatility, aesthetic, technology, and overall cabin environment. As with the overall design, powertrain configurations for the Liberty were refined for the ’08 model year. This meant two primary changes: the discontinuation of both the four-cylinder and diesel variants. Leaving the 3.7-liter PowerTech V6 as the sole engine choice for ’08, the Liberty retained two transmission options in the form of a six-speed manual or four-speed automatic (which would later become the standard configuration). Rated for 210 horsepower and 235 lb-ft of torque, the ’08 Liberty served up a combined 19 mpg (16 city, 22 highway). Made available in both 2WD and 4WD options, the Liberty backed up its utilitarian design with strong trail-rated capabilities. This would further evolve to include two 4×4 options: the part-time Command-Trac II and full-time (active on-demand) Selec-Trac II. 2011 model year brought a welcome refresh to the cabin aesthetic which carried over to the final model year in 2012. Beginning in 2008, the Liberty moved away from the more modern, sculpted look of its first generation. Historically, the iconic nature of Jeep design means that models with an updated look tend to be reasonably divisive; and the first-gen Liberty was no exception. The ’08 redesign returned the Liberty to a more boxy aesthetic that reflects the utilitarian legacy associated with Jeep. This meant squared-off front fascia, accented by a taller seven-slot grille framed by equally squared-off headlights (a departure from the circular motif, previously used). With a longer, flattened hood and a blocky roof design, the redesign made no attempt at discretion. This was an entirely new Liberty. Wider, longer and geared towards tried-and-true Jeep enthusiasts. With nearly half-a-million Liberty sold between 2008-2012, you wouldn’t be alone. While it may feel a bit of a throwback considering the evolution of Jeep’s line-up in the year’s since nobody does ‘classic’ quite like Jeep does. But let’s not diminish the Liberty’s ranking among its contemporaries of the era. When introduced, the 2nd-gen Liberty outranked the Kia Sorento, the Nissan Xterra as well as Toyota’s FJ Cruiser and 4Runner. Despite being the most affordable among these models, the Liberty stood confidently right up until its retirement, a perfect blend of rugged Jeep design and evolving technologies.